Woven and Knitted textile design students all report having a truly inspirational and engaging experience at Spinexpo, Paris. Presenting their work, networking and supporting the Spinexpo team were just few things the students experienced. Here’s an edited selection of what the student’s thought. Spinexpo Paris, known for featuring cutting edge technologies and having the highest technical expertise, was a great way for us to exhibit our work professionally, understand how a show of this scale works and to see how designers work with spinners to showcase yarns and their versatility. It was also an extremely valuable experience to speak to different companies including yarn producers and garment manufacturers. 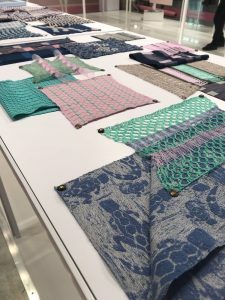 For example, from Wanziman Hong Kong Limited we learnt about an interesting new technology which imitates woven patterns into knitted fabric to create a unique material which has qualities of both knit and weave. 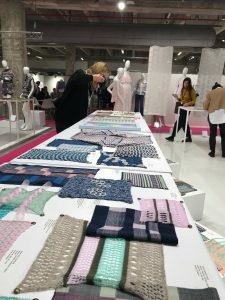 Yarn suppliers also exhibited new technologies, combinations of fibres and innovations including eco-friendly products, tape yarns, metallic textures, woollen yarns and paper qualities; the sheer volume of possibilities was eye opening. 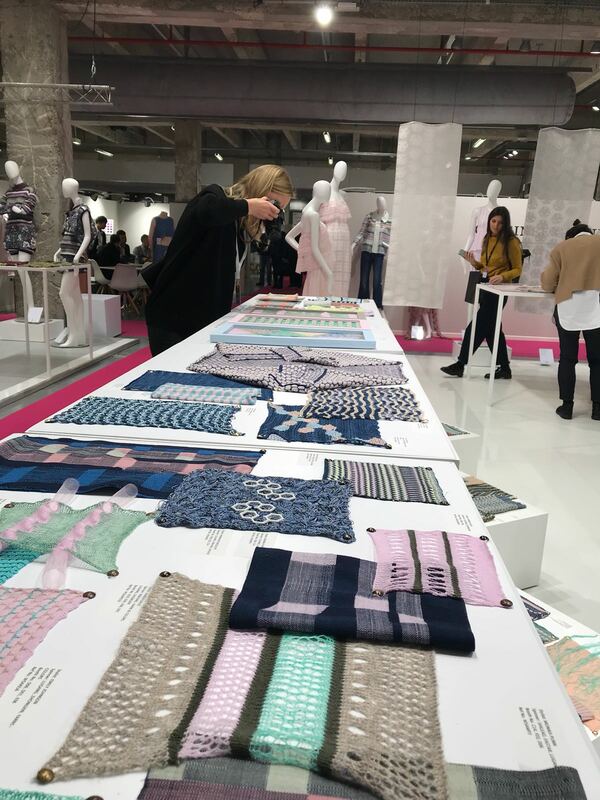 Each stand was exciting and enticing, each seller had many potential buyers viewing their sample racks. It is perhaps easiest to envisage the buyers as children visiting a sweet shop for the first time; completely animated and engrossed in the products. 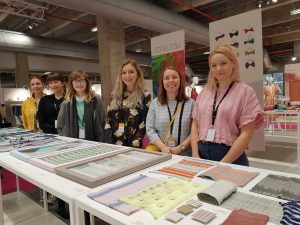 The Spinexpo team were extremely kind and encouraging to us. They made us feel a part of the family and become involved in every aspect of the show. A most wonderful experience, which has been invaluable. 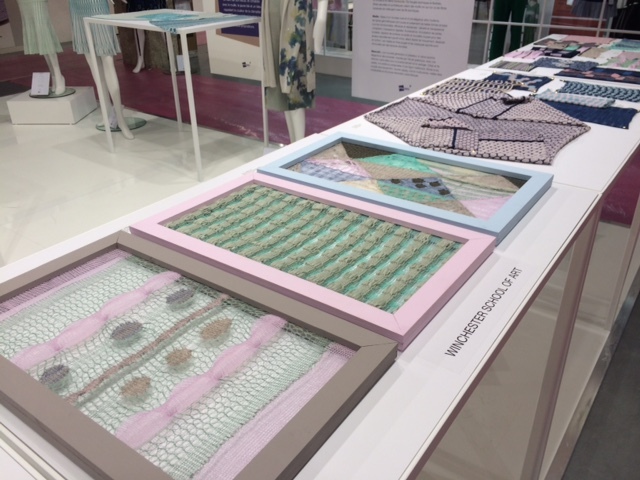 This entry was posted in Fashion & Textile Design, Textiles and tagged 2018, Exhibition, Guest Lecture, Knitwear, Level Two, Make Future, Spin Expo, Textile Design, Weave, Winchester School of Art, woven textiles by Sharon Williams. Bookmark the permalink.